Search Engine Optimisation is a constantly evolving game and keeping on top of it is no mean feat and on a weekly basis I’ll be doing research on what the latest techniques and advice for those in SEO are considered to be, not to mention the reading involved on keeping up with the latest Google updates! In truth, if you are sticking to the “white hat” SEO techniques and do everything you can to ensure your website is an authoritative and useful website for your visitors, you shouldn’t feel the wrath of the Big G too much nor should you need to worry too much about Panda or Penguin updates as the main aim of the Google updates is to ensure the right websites are ranking at the top and to keep the keyword stuffed and content spammy websites at the bottom. Whatever I’m reading I will always find research to show that one of the most effective SEO techniques continues to be link building. Good quality link building is often a tedious and lengthy process and for this reason is highly sought after as a specialism. Anyone in SEO after the best sort of links will often have spent hours sifting through websites and social media platforms hunting down bona fide relationships to build with other website owners to get these “good” links. 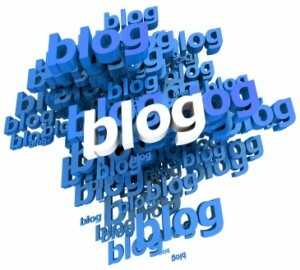 Guest blogging on relevant and authority websites is often one of the most fruitful ways of obtaining these good links. Finding appropriate websites is no easy game and neither is finding a blog site owner who is willing to post your content, and at a reasonable cost. Guest blogging is an undeniably positive method of digital marketing that aims to get you powerful on-theme links and anything that good for your website is never going to be a shortcut. Guest bloggers need to provide useful, informative, compelling and share-worthy content to stand a chance of getting content published. There are many sites out there that aim to pair up blog owners with guest bloggers and many will charge a premium for you to join as a guest blogger wanting to submit articles, e.g. MyBlogGuest which charges $50/month to submit articles or BloggerLinkUp. It takes time to write compelling content and then find a relevant blog willing to publish your content and it’s no simple statement to say that content is king in the realms of the guest blogging. 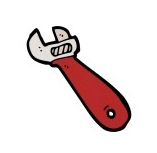 At this juncture we may need to throw a mini spanner in the works. It’s important to bear in mind that the idea behind writing guest blog posts has to be natural and as a result it is advisable that as a blog owner you should nofollow any links you publish and expect this as a guest poster. “But surely writing a guest post for SEO means that I expect a follow link from it back huh?” I hear you say…Well, Google needs to see nothing less than 100% natural activity in your link building and writing reems of posts purely to gain links is sure to be an eyebrow raiser in the Google HQ and as such, who knows whether they will be downgraded and thus not proving to be that useful for your site anyhow. It may go against the desirable end result but by adding a nofollow link to your website Google is kept happy as it’s deemed to be a more natural link and could it even be viewed more favourably as a result? Who knows whether this plays to the Google algorithm or not, but at the end of the day, if you are writing compelling content then people will want to visit the links you mention anyhow and then end up on your website as a new visitor! SEO Copywriting is offered as part of the SEO Virgin services and focuses on writing top quality content for the benefit of your website. Time and effort goes into understanding your business and brand to be able to provide relevant and useful content appropriate to your core ethics and inline with what you want it to achieve. For more information please get in touch.